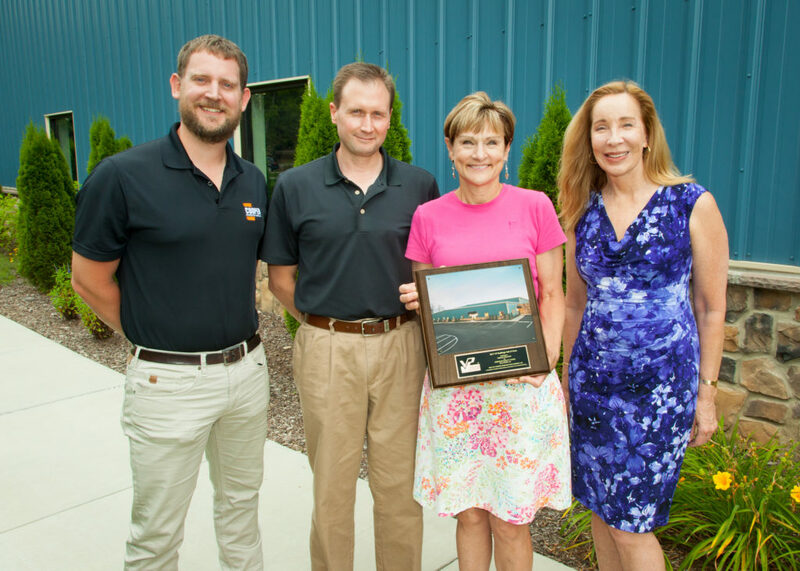 Hendersonville, NC, June 2017 – A building by Cooper Construction Company of Hendersonville, NC, has been recognized by Varco Pruden Buildings, one of the nation’s largest building-solutions providers. Varco Pruden is a division of BlueScope Buildings North America, Inc., and has a network of more than 1,000 builders across the United States and Canada. The highly competitive Hall of Fame Awards are presented annually to the independent authorized VP builders whose work reflects innovation and excellence though the integration of VP building systems, products, architectural appearance, end use and design. The projects include a range of industrial, commercial, retail and municipal projects. Cooper Construction Company was recognized in Varco Pruden’s 2016 Hall of Fame for their construction of the American Quality Foods facility. Located in Mills River, NC, American Quality Foods manufactures high quality diet, sugar free and gluten free baking mixes for the foodservice industry and individuals. Accepting the award on behalf of American Quality Foods are Jason McKay & Kathy Milner. They are photographed with Cooper Construction VP, Trey Ford (far left) and Architect, Tamara Peacock (far right).